With the Premier League’s transfer window closing on Thursday, the top title contenders have completed their squad building until January. After sweeping to the title with a record 100 points and more wins and goals than any previous team in the Premier League era, it was tough for Manchester City boss Pep Guardiola to improve his stylish side. Guardiola opted for only one significant new recruit, landing Algeria winger Riyad Mahrez from Leicester in a £60 million swoop. Mahrez bolsters City’s already impressive array of attacking talent and, while Guardiola missed out on Italy midfielder Jorginho, who instead joined Chelsea, the champions’ combination of youthful swagger and world-class talent still makes them favourites to reign supreme again at the end of the season. Jose Mourinho made an early splash as he spent £52 million on Shakhtar Donetsk’s Brazil midfielder Fred and a further £19 million on Porto defender Diogo Dalot, but the Manchester United manager was still underwhelmed by his club’s business. Mourinho spent much of United’s pre-season tour of the United States grumbling about the lack of depth in his squad and reportedly feuding with executive vice-chairman Ed Woodward over failed approaches for defenders Harry Maguire, Yerry Mina and Toby Alderweireld. After finishing second last season — 19 points behind City — United look no closer to bridging the gap to their hated rivals. Mauricio Pochettino had challenged his club to be “brave and take risks” when asked what Tottenham needed to do to improve their squad following their third-place finish last season. Fast forward three months and the north Londoners are under-fire from their fans after failing to make a single signing. Pochettino is adamant Tottenham’s lack of transfer activity isn’t a problem because it was just as important to hold onto the club’s key players. Harry Kane, Christian Eriksen, Son Heung-min and Kieran Trippier have all signed new contracts since May. “I am not worried, I am not sad, I am so happy. To keep our best players was our objective and we have achieved that,” Pochettino said. Hired to replace the sacked Antonio Conte, Blues manager Maurizio Sarri insists he is happy to leave the wheeling and dealing to Chelsea’s hierarchy — a stark contrast to his predecessor’s constant complaints about transfers. Jorginho was Chelsea’s first close-season signing as the Italy midfielder followed Sarri from Napoli in a £57-million deal. 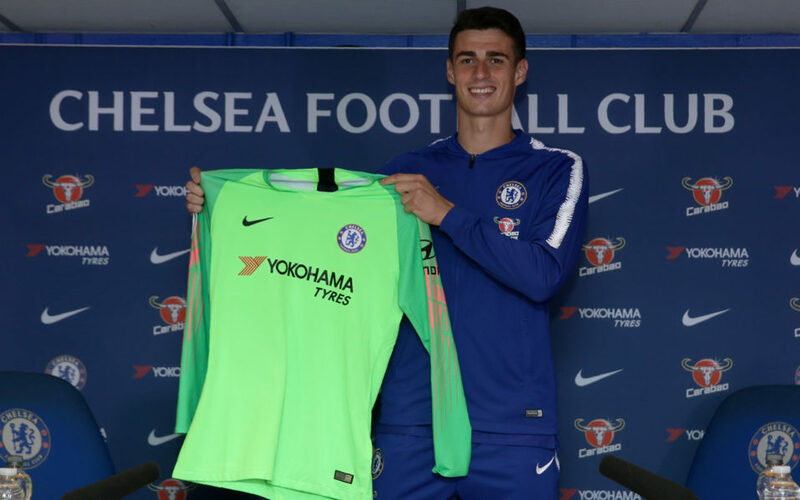 Belgian goalkeeper Thibaut Courtois was allowed to join Real Madrid to be closer to his children, with Croatia midfielder Mateo Kovacic moving to Chelsea on a season-long loan as part of the deal. The £31-million fee for Courtois was immediately reinvested in Spain international Kepa Arrizabalaga, who arrived from Athletic Bilbao for £72.1 million — a world record for a keeper. Crucially, Chelsea have so far staved off interest from Real and Barcelona in Eden Hazard and Willian. Heralding the start of a new era at Arsenal following Arsene Wenger’s departure last season, Gunners manager Unai Emery has been given a host of new faces in a bid to end his club’s decline. Wenger’s 22-year reign ended with a wretched sixth-place finish and a second successive season without Champions League action has had a profound effect on Arsenal’s recruitment, with star names now hard to come by. Former Paris Saint-Germain boss Emery appears willing to let chief scout Sven Mislintat, director of football Raul Sanllehi and chief executive Ivan Gazidis call the transfer shots and that trio have made a series of cut-price deals for Matteo Guendouzi, Bernd Leno, Lucas Torreira, Sokratis Papastathopoulos and Stephan Lichtsteiner.